Sesame Street Elmo The Musical Lets Imagine Elmo. 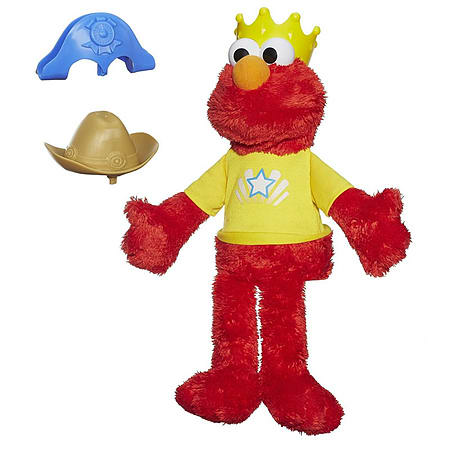 Let's Imagine Elmo is trying on different fun hats, and he's inviting your little one to sing, count, and play along with him! 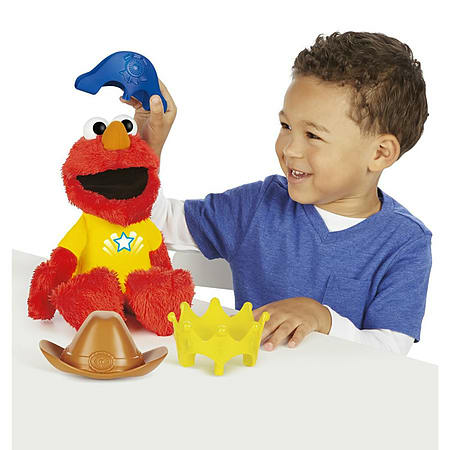 Whether he's a counting cowboy, playful prince, singing sea captain, or just being himself, Elmo has 4 playful interactive modes with games, songs, and actions. Recommended age 2-4 years, Require 4 x AA Batteries (Included).